The Billionaire Concierge is a high end luxury lifestyle management and concierge-service. Members of the Billionaires Concierge enjoy the freedom of getting everything they like regardless of where they live. We have a policy of doing what we can for our members and to fulfill all member requests – we are the preferred service chosen by those who are keen to enjoy the very best life has to offer. The Billionaire Concierge offers you unrivalled privileges across every chapter of the luxury lifestyle industry. Whether it’s a priority reservation at a three Michelin-starred restaurant, the Best Available Rate at a five star hotel in Hong Kong or cocktails on arrival at Dubai’s most glamorous nightspot – Members are privy to thousands of benefits around the globe. The Billionaire Store can source luxury products for you from across the world. 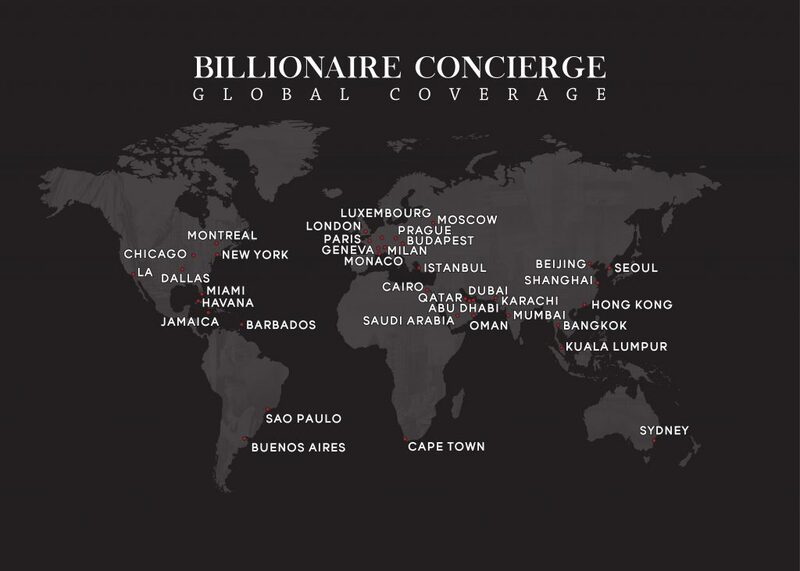 The Billionaire Concierge is available to everyone across the globe. 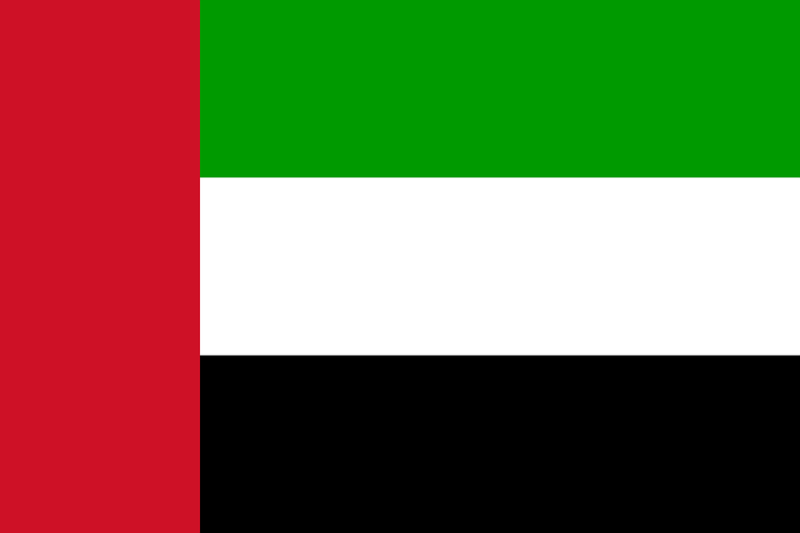 No matter where you are in the world, our team will always be at hand. 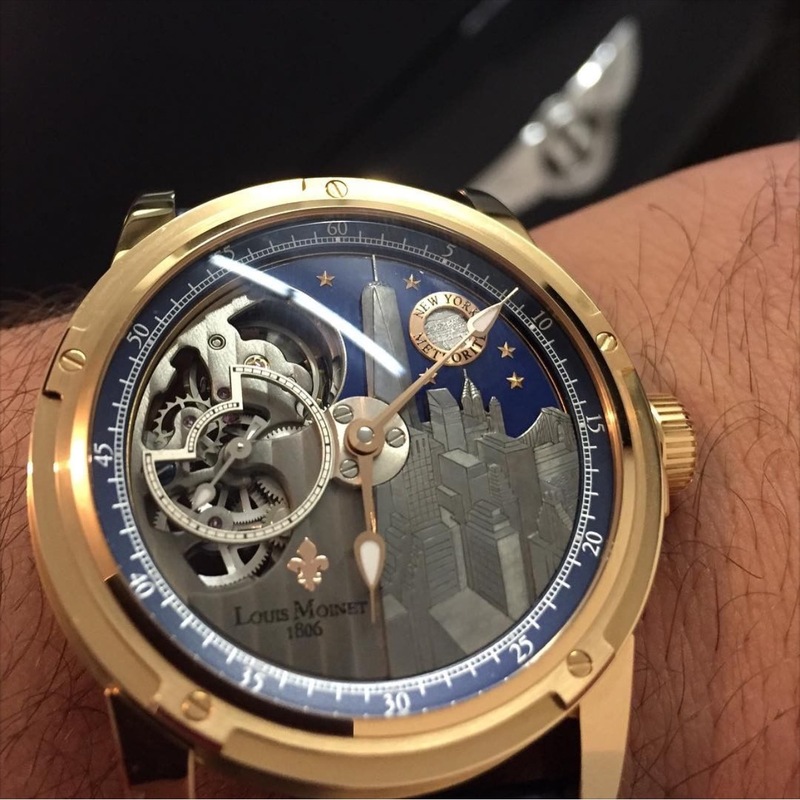 Our exclusive network across the globe will ensure that we can get you what you like within the specified time. It doesn't matter how unique your requirement is, our proactive experts will always do their best to make it happen. Hospitality packages available for all major events across the globe from Film Premieres to Sporting Finals. The Black Billionaire Card service ensures that our team attend to your every need around the clock. No matter what time zone you are in. The Billionaire Concierge offers clients a variety of unique membership options that are custom tailored to their exact specifications. Once a membership application has been submitted, it will be processed and clients will speak with a representative before the membership is accepted. Once accepted, Billionaire Concierge members receive a Billionaire Concierge membership pack with additional membership information. Please contact us for further details. As a premium concierge & lifestyle management company, we understand the needs of our members and constantly strive to exceed their expectations though unique and innovative service enhancements, options and additions. Our relationships, insider knowledge, and industry exposure guarantee that we are able to deliver, the unattainable, 24 hours a day, 365 days a year. The Billionaire Concierge can enhance any membership by providing clients with a unique range of essential lifestyle services like the ones listed. If you would like to inquire about our membership packages then please email info@thebillionaireconcierge.com or use the contact form. Thousands of times each day, our clients experience the simplicity and convenience that begins The Billionaire Concierge experience. The minute our clients tells us about their request and their specifications our dedicated specialists are able to tap into our years of expertise and locate the ultimate solution to their requirements. We invite all of our clients to customize their memberships by allowing us to understand the unique requirements for their service plan. The Billionaire Concierge offers clients a variety of unique membership options that are custom tailored to their exact specifications. Once a membership application has been submitted, it will be processed and clients will speak with a The Billionaire Concierge representative before the membership is accepted. Once accepted, The Billionaire Concierge members receive a The Billionaire Concierge membership card with additional membership information. Please contact us for further details. As a premium concierge & lifestyle management company, we understand the needs of our members and constantly strive to exceed their expectations though unique and innovative service enhancements, options and additions. Our relationships, insider knowledge and industry exposure guarantee that we are able to deliver, the unattainable, 24 hours a day, 365 days a year. The Billionaire Concierge can enhance any membership by providing clients with a unique range of essential lifestyle services. The Billionaire Concierge is proud to count among our clients a variety of high profile clients from around the world. Our members are typically comprised of high net worth individuals or large families who are in business, entertainment, athletics and politics. The Billionaire Concierge membership provides members with a staggering array of concierge options, premium services, unbelievable accessibility and a host of luxury amenities. The ultimate lifestyle and private members club, The Billionaire Concierge designs and customizes each membership to fit clients lifestyles while placing the world at their fingertips no matter which level of service they utilize. Unlike a variety of lifestyle or private membership clubs, a The Billionaire Concierge membership provides unhindered access to all that life has to offer with no limitations. Through strategic partnerships with more than 10,000 reputable partners, solution providers, and affiliates around the world, we pride ourselves on delivering the inaccessible. No limit on types of services – Our membership levels provide access to over 100 concierge services with no limit on what can be provided. No limit on event access – Through our memberships, we offer access to over 40,000 events around the globe. 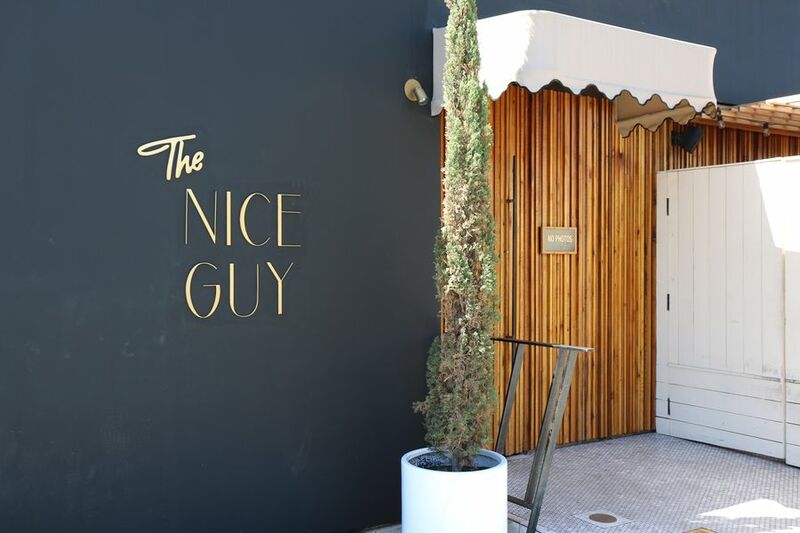 I called Billionaire Concierge when my Vertu Concierge couldn’t get me a last minute reservation at Nice Guys in LA and they did this in no time without any problem. 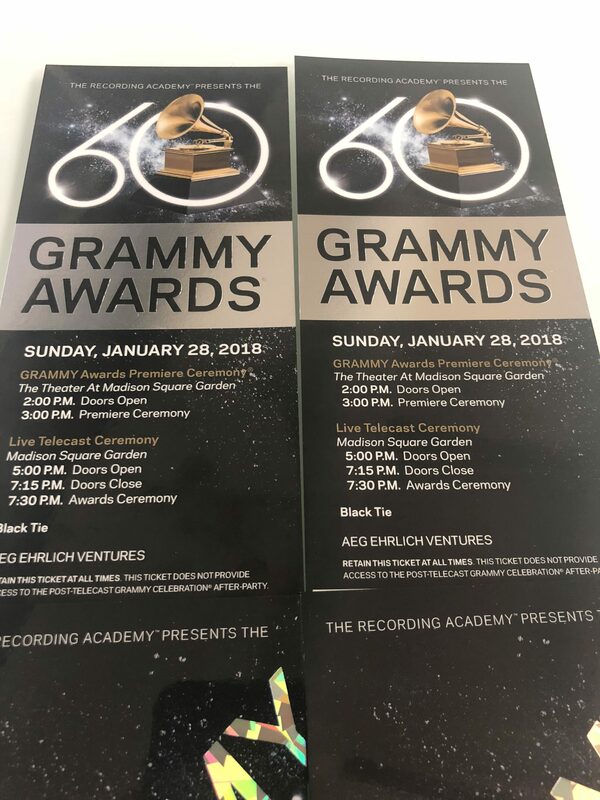 [Exclusive Event Access] – …and thank you, especially for the hand delivery to my daughter! That was very professional and considerate. It did not go unnoticed. We will be a good long-term customer for you. Always provide a number of the latest iPhones each year on launch date without fail! Also, help with travel arrangements including yacht and jet charters on my frequent trips.